Tennis icons and equal rights champions, Serena and Venus Williams have joined the Billie Jean King Leadership Initiative (BJKLI) advisory board, it was announced today. 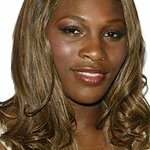 In addition to their success on the tennis court, where they’ve captured a combined 30 Grand Slam singles titles, along with 14 Grand Slam doubles titles, and 4 Olympic gold medals each, the Williams sisters are strong advocates for equal prize money in the sport. They are also accomplished businesswomen and dedicated philanthropists. In 2016, Serena and Venus teamed up to establish The Williams Sisters Fund, which seeks to support various philanthropic efforts. Their first project, The Yetunde Price Resource Center, was created in honor of their late sister, Yetunde Price. Billie Jean King and the Williams sisters first met at a World TeamTennis clinic in Long Beach, California when Serena and Venus were young girls. They also worked together on the court when King was the Captain of the US Fed Cup and Olympic teams. 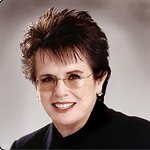 The BJKLI was founded in 2014 by Billie Jean King, her partner Ilana Kloss, and the global CEO advisory firm, Teneo, in an effort to move the needle forward on issues impacting equality and inclusion in the workplace. Since its inception, the BJKLI has partnered on industry-leading research and hosted a number of symposiums that have brought together diverse leaders from a range of industries to have honest conversations on the state of equality and how to broker tangible positive change. The release of the Battle of the Sexes film in 2017 marked a pivotal year for the BJKLI. The organization celebrated at a luncheon at New York’s iconic Rainbow Room. The film, which is centered on the story of the 1973 tennis match between Billie Jean King and Bobby Riggs, highlights the inequality that existed between men and women. It serves as a poignant reminder that while progress has been made in the fight to achieve equality for all, much remains to be done. Building on the momentum of last year, 2018 is a milestone year for both the BJKLI and its founder. The BJKLI recently announced a partnership with Starbucks and support for the company’s commitment to global gender pay equity, encouraging others to embrace the principles of equal pay and make change. In the fall, the BJKLI will celebrate its fifth anniversary, and King will celebrate her 75th birthday. Events are planned to mark both occasions. Billie Jean King; IIana Kloss (Co-founder, BJKLI); Paul Keary (Vice-Chair, BJKLI and Co-founder & COO, Teneo Holdings); Christiane Amanpour (Anchor and Chief International Correspondent, CNN); Jason Collins (Former NBA Player and Civil Rights Advocate); David Furnish (Chairman, Elton John AIDS Foundation & CEO, Rocket Entertainment Group); Margo Georgiadis (CEO, Mattel); Maritza Gomez-Montiel (Former Vice Chairman and Deputy CEO, Deloitte LLP); Sir Elton John; Jonathan Kraft (President, The Kraft Group); Robert McCann (Chairman, UBS Americas); Pat Mitchell (Founder & CEO, POW! Strategies); Andy Roddick (Former World No. 1 and U.S. Open Champion); Pablo Salame (Global Co-Head, Securities Division, Goldman Sachs) and Michael Strautmanis (VP of Civic Engagement, The Obama Foundation). For more information on the Billie Jean King Leadership Initiative, visit BJKLI.org.